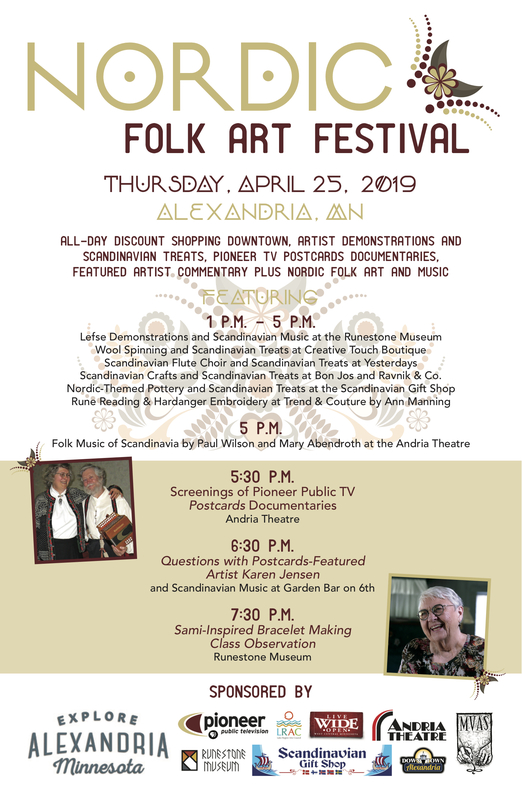 Alexandria, Minnesota’s charming, historic downtown is the perfect setting for the 2019 Nordic Folk Art Festival, Thursday, April 25, 2019. For information on all of the events, check out the event poster. Contact the Runestone Museum in Alexandria, MN for details.